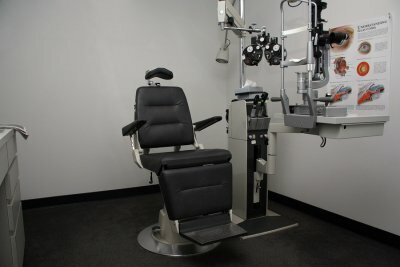 When was the last time you visited your optical center in Chicago to have your eyes tested for glaucoma by an eye doctor? If it’s been more than a couple of years, then you could be overdue for a screening. Read on to learn what puts you at greater risk for developing glaucoma. Individuals over 40 are at a higher risk for both open-angle glaucoma (OAG) and closed-angle glaucoma (CAG), and your age impacts how frequently you should be seeing an eye doctor for testing. People under age 40 should visit an eye care professional every 2 to 4 years. From ages 40 to 54, see your eye doctor every 1 to 3 years. Individuals who are between ages 55 and 64 should have their eyes tested every 1 to 2 years. Once reaching 65 years of age, people should visit their eye doctor once every 6 to 12 months. Race has been linked to different types of glaucoma. People of African descent are at a higher risk for developing OAG than Caucasians, and people with East Asian ancestry are more likely to suffer from CAG than other individuals. Also, Hispanics in older age groups are at a greater risk for glaucoma. If you fall into one of these high-risk groups, then consider seeing your eye doctor more frequently. OAG is the most common form of glaucoma, and both it and CAG are hereditary conditions. This means that if you have immediate family members who suffer from glaucoma, that you should be seeing an eye doctor for testing more frequently than you would otherwise because you have a much greater risk of developing the disease. There are several other factors that can increase your risk for open-angle glaucoma which include having high pressure in the eyes, having diabetes, and having prior loss of vision due to glaucoma. Additional risk factors for closed-angle glaucoma include being female, having farsightedness, and having CAG in one eye. If any of these risk factors apply to you, then speak with your ophthalmologist about how often you should have your eyes checked for glaucoma.